Add some flair to your party tents with these elegant French-style doors. They will provide a formal entry and exit way to your event. Doors are 72" wide with glass panels. 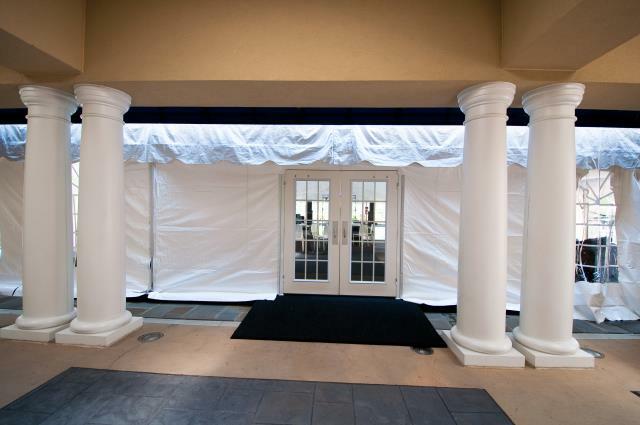 * Please call us with any questions about our tent door double french serving Cary NC and Raleigh NC, Chapel Hill, Pittsboro, RTC & Raleigh-Durham in North Carolina.